I am loving all the berries at the farmer’s market right now. After picking up my fair share of blueberry baskets (how much is too much? ), I knew I needed to whipped up a tasty tipple utilizing them. 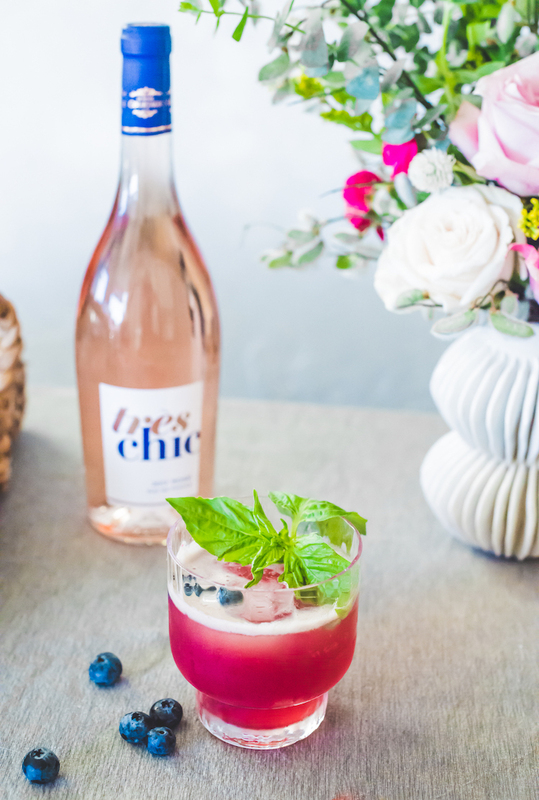 I combined the alluring flavors of coconut and basil with the basil topped off with an unexpected, but perfectly fitting ingredient: rosé! 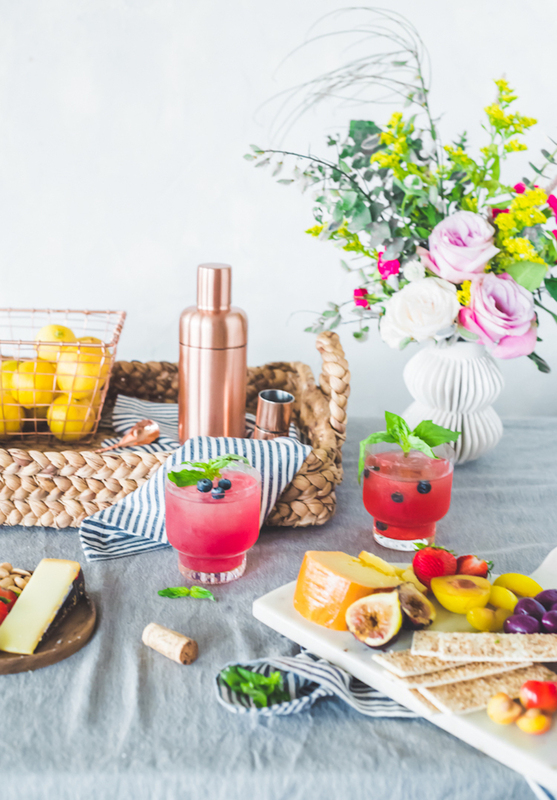 This pink hued wine is often drank by the glass picnicking at the park, lounging pool side, or at a cafe with the doors flung open and the sun streaming in, but it can be used in cocktails as well to great effect. 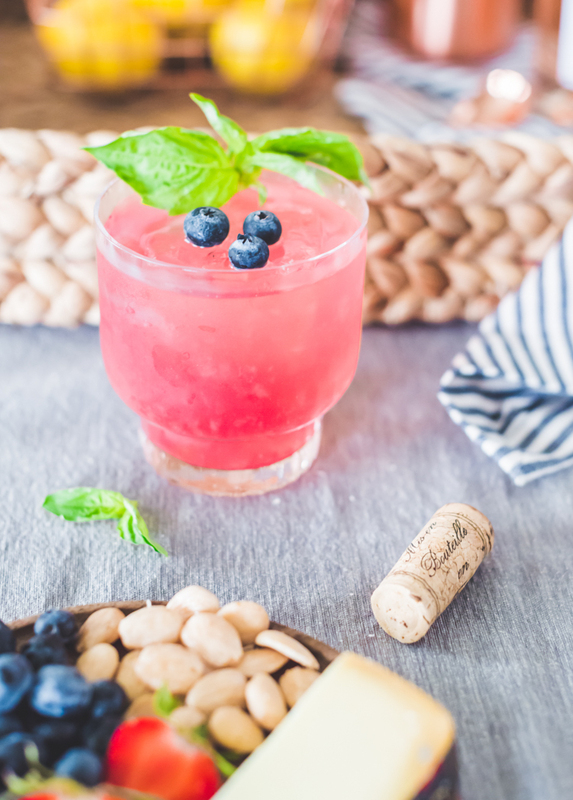 It really amplifies the fruit flavors in this Blueberry Basil Rosé Smash. Although I was tempted to drink a pitcher of these myself, I decided to share. 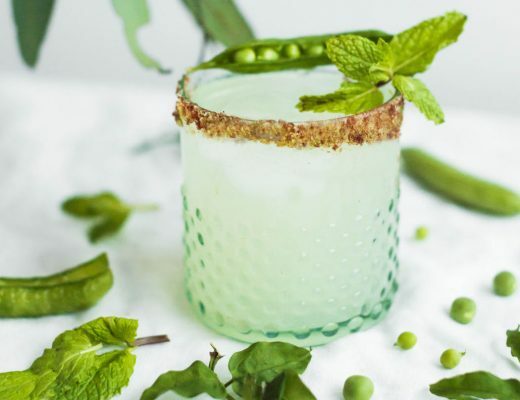 A cocktail as good as this one deserves to be shared. 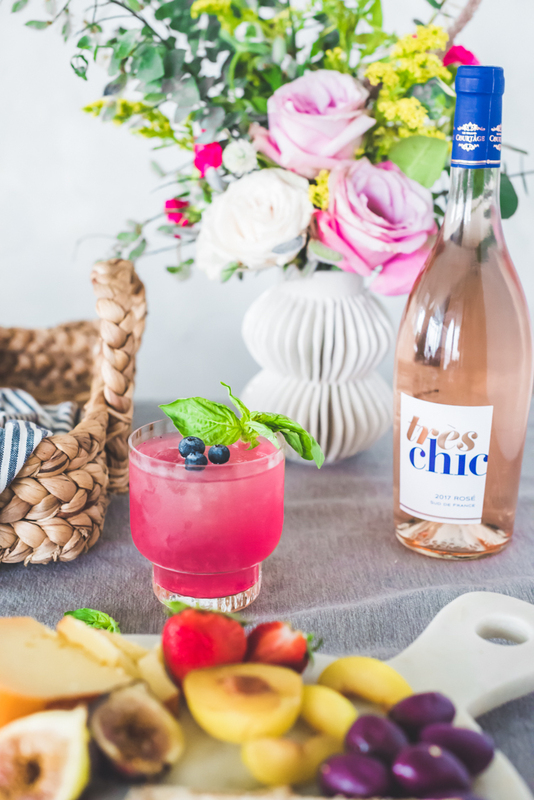 I invited over some ladies to have a little French inspired fête complete with fruit filled cheese plates paired with the Blueberry Basil Rosé Smash featuring Très Chic Rosé. It was a lovely afternoon, but honestly any day with rosé in your glass is! It’s not s surprise that I love entertaining. Honestly, it’s way more fun to serve pretty snack and drinks when there are friends to share them with! 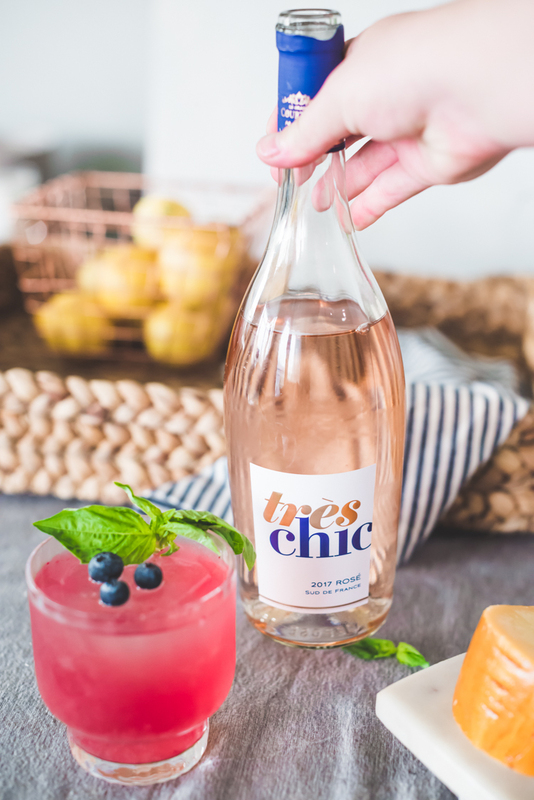 I chose to use Très Chic Rosé in the recipe. It’s a is a newly produced rosé in the Pays d’Oc region of southern France made from 70% Grenache Noir and 30% Cinsault, it is rich combination of steep slopes, hilly peaks and vineyards dotted with wild herbs. Diverse soils make up the region ranging from sand, limestone, schist, clay, and gravel. Grenache and Cinsault thrive in the windswept soils and Mediterranean climate. The tropical fruits with a touch of minerality (thanks to the soils!) 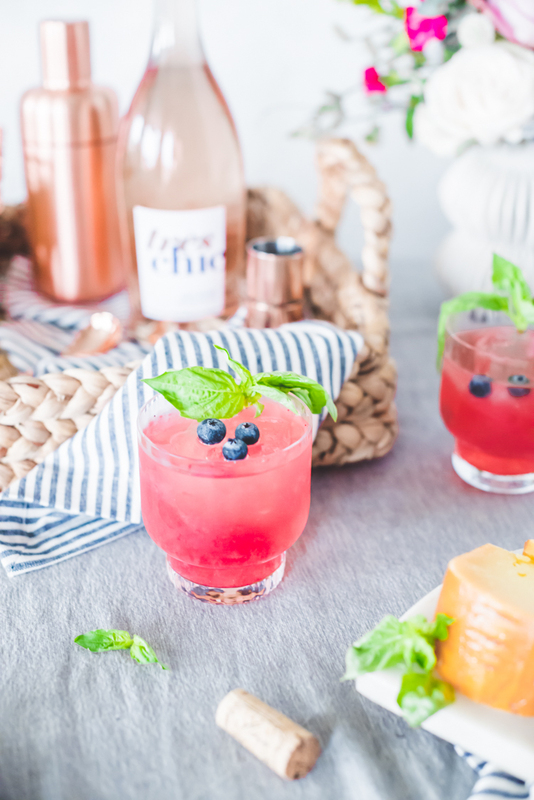 would make it delicious in tiki style drinks or a Margarita in addition to this Blueberry Basil Rosé Smash. And one thing that’s important to me: Très Chic is women owned and run! The spirits and wine work is so heavily male dominated, I always love getting the opportunity to support the hard working ladies in the field. 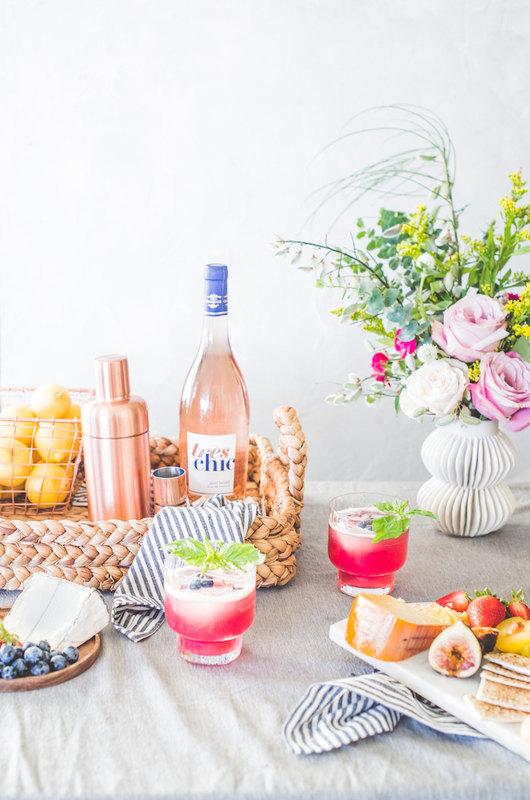 Rosé deserves a place as a go-to cocktail ingredient. Alongside gin, vodka, and brandy it works superbly. 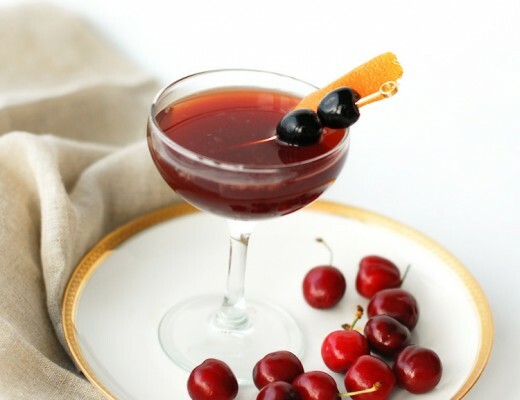 Although, I feel it could get lost in cocktails with bold notes such as scotch and mezcal that wouldn’t permit the nuances of rose to shine through. You should try mixing into your next cocktail! 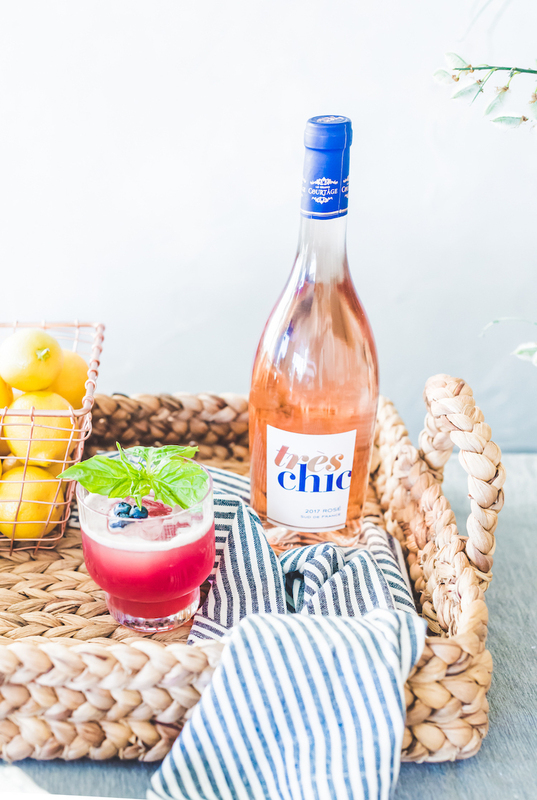 Add Très Chic Rosé, gin, blueberries, coconut water, lemon juice and simple syrup to a shaker. Muddle the blueberries. Add the basil leaves and muddle gently. Add ice and shake. Double strain into a glass with ice. 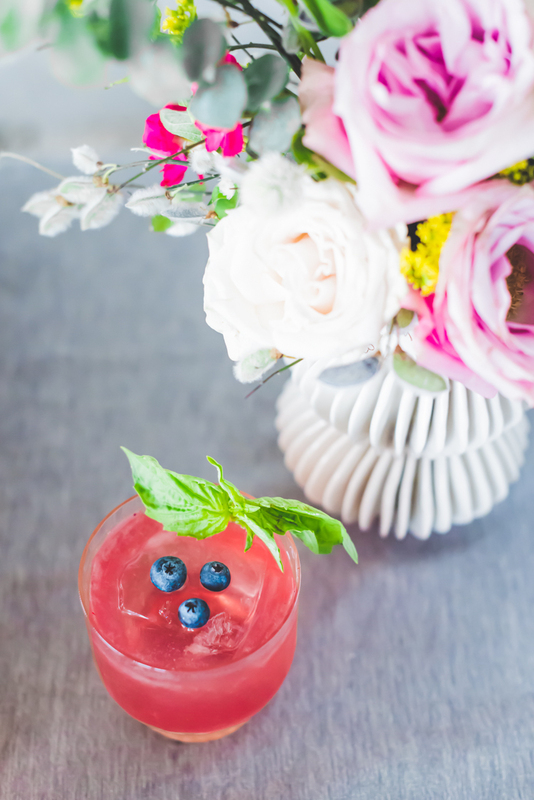 Garnish with blueberries and basil leaves. This post is sponsored by Très Chic Rosé All opinions are my own. 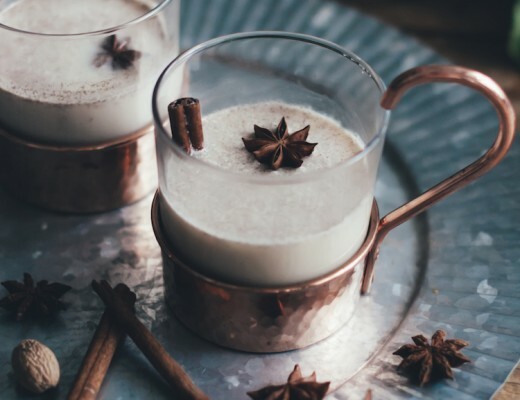 Thank you for reading and supporting the partnerships that keep the cocktails flowing on Craft + Cocktails!